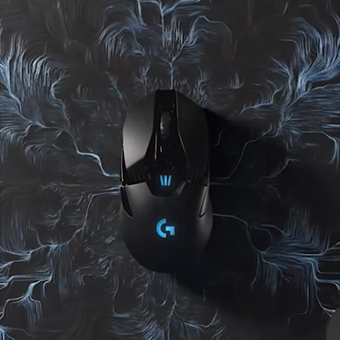 Logitech G HUB is completely redesigned software for configuring and optimizing your Logitech G gear from the latest drivers to custom LIGHTSYNC RGB effects and animations. The brand new interface gives fast and intuitive access to all types of customization. Easily set your mouse DPI, assign functions to G-keys, and personalize your lighting with advance LIGHTSYNC technology. Set profiles and tune settings for each game, and even each character or mode within each game. Logitech G HUB makes it easy to update and personalize your experience, with simple lighting schemas to advanced animated lighting sequences. The LIGHTSYNC engine also reacts to any content on screen or audio cues for an immersive and cinematic experience from your games, videos, and music. Get immediate updates to the latest games’ RGB profiles and in-game integration, as well as access to custom RGB profiles from the community. Within Logitech G HUB, we also built an easy way to share your custom RGB settings and profiles with other gamers. Contribute profiles of your own or download profiles created and uploaded by your fellow gamers, esports athletes, streamers, and game developers. You will need to create an account to download and share profiles. Download Logitech G HUB Early Access to help us make the right improvements, get the most out of your Logitech G gear, and share our best gaming experiences with gamers all over the world.